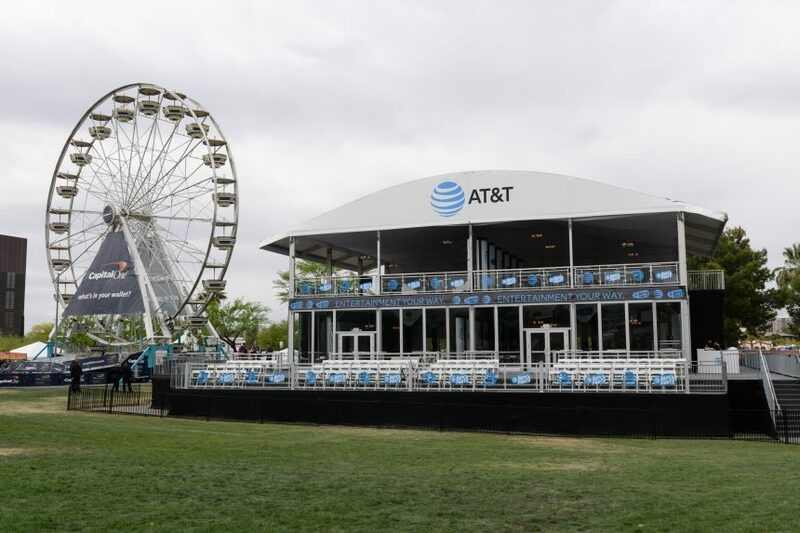 March Madness Music Festival is a party within the NCAA Final Four tournament. 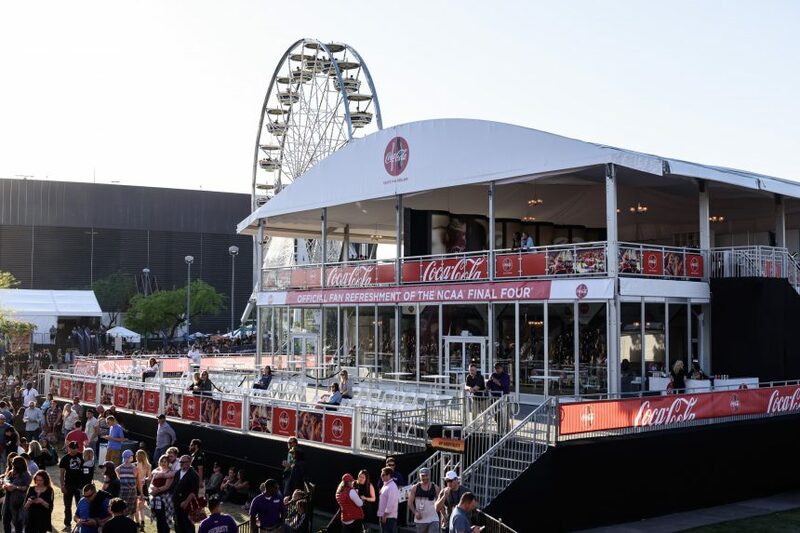 It’s an opportunity for NCAA sponsors to mingle with fans, preview products and technology, and offer one-of-a-kind Final Four experiences. 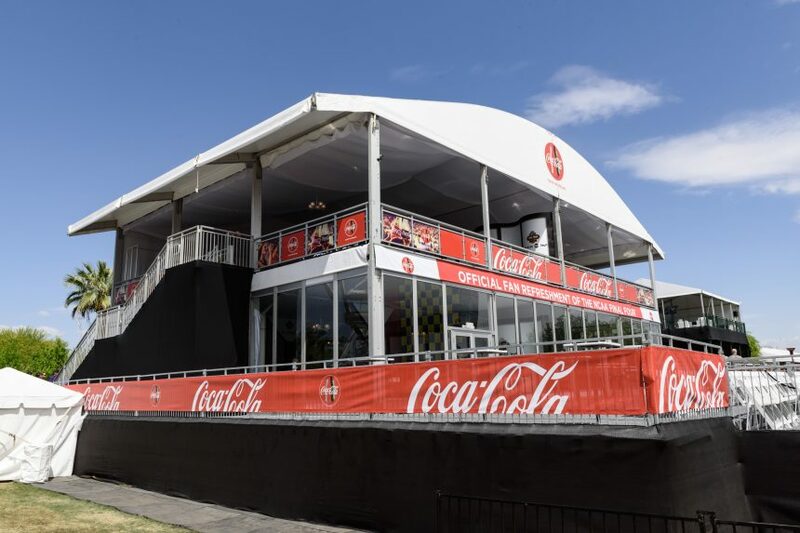 Arena Americas provided all clearspan tents for the Music Festival, including a double decker structure for lead sponsors AT&T, Coca-Cola, and Capital One. The 6,600 sq. 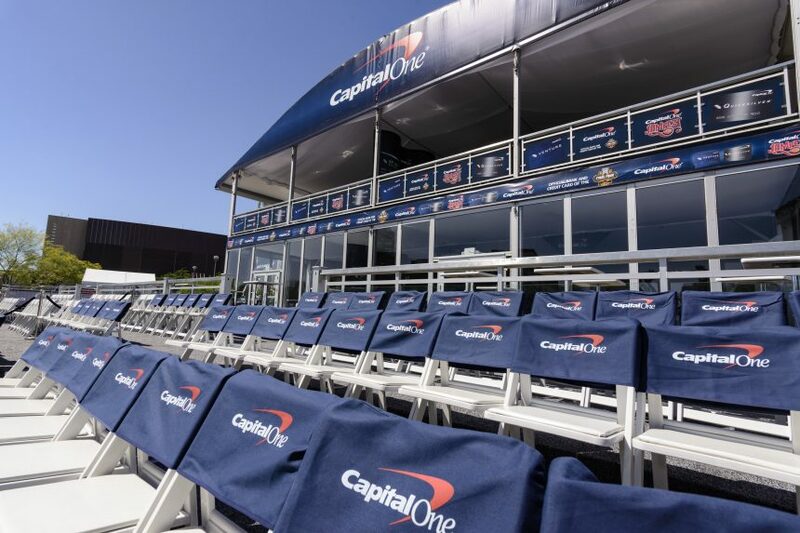 ft. open-air structure featured a front balcony as well as interior lighting, seating areas, and decor. 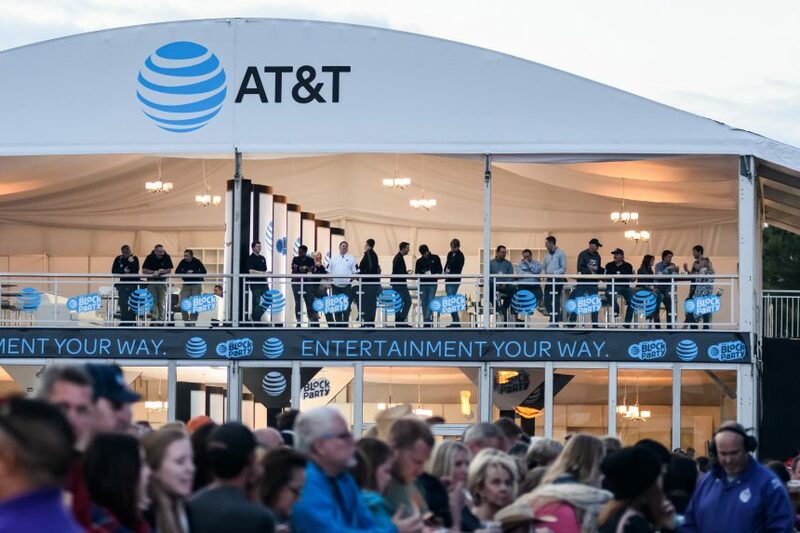 To increase brand exposure, Arena Americas also developed soaring custom graphics for the tent gables. 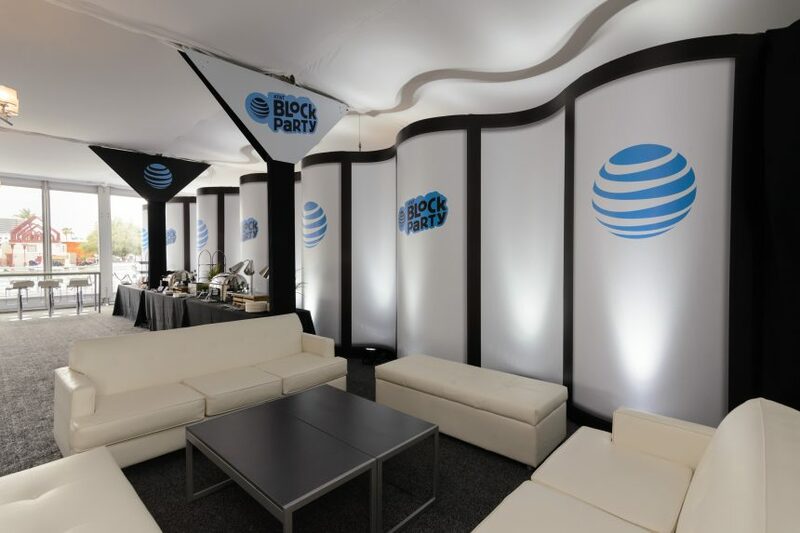 The tent was rebranded at the end of each day with a different sponsor’s logo. 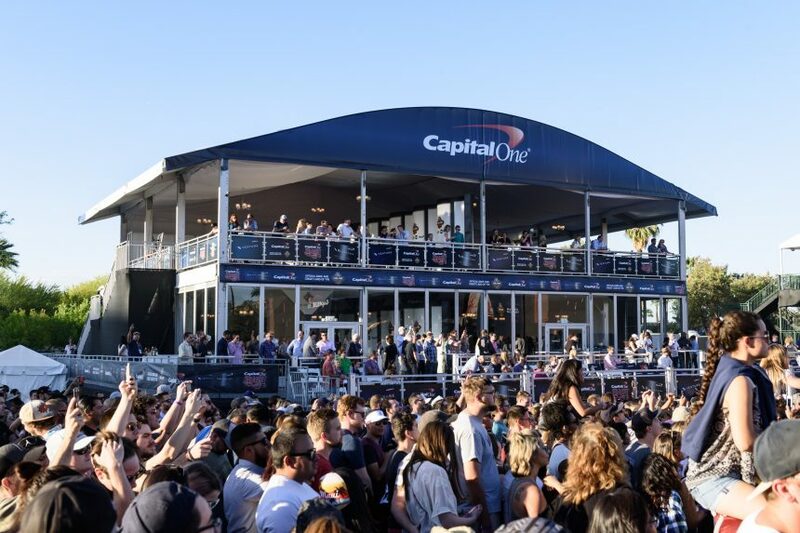 More than 135,000 fans attended 2017’s wildly successful March Madness Music Festival!